Thanks for inviting me to your blog. I thought I’d talk about the influence Victoria Holt, had on my writing. I’ve been a fan of romantic suspense and mysteries since reading Victoria Holt’s gothic tales years ago. For those of you who haven’t discovered this wonderful writer, I thought I’d introduce her to you. Born in London, in 1906, Eleanor Hibbert had sold over one hundred million books at the time of her death in 1993 in Greece. She wrote under her own name and many other pseudonyms. My favorites were her Gothic Victorian mysteries, which she wrote as Victoria Holt. There were over 30 novels, too many to list here. So I thought I’d give you a taste of her novel, Mistress of Mellyn. Blurb: Mount Mellyn stood as proud and magnificent as she had envisioned…But what about its master--Connan TreMellyn? Was Martha Leigh's new employer as romantic as his name sounded? As she approached the sprawling mansion towering above the cliffs of Cornwall, an odd chill of apprehension overcame her. TreMellyn's young daughter, Alvean, proved as spoiled and difficult as the three governesses before Martha had discovered. But it was the girl's father whose cool, arrogant demeanor unleashed unfamiliar sensations and turmoil--even as whispers of past tragedy and present danger begin to insinuate themselves into Martha's life. And so Mistress of Mellyn begins. Writing is a mysterious process. I didn’t realize how much her themes informed my writing until I revisited her books. 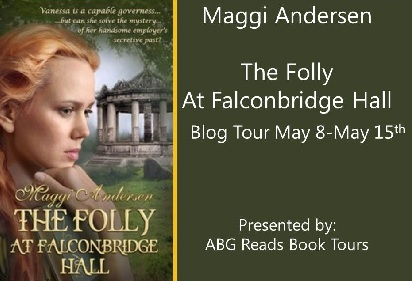 Blurb: Vanessa Ashley felt herself qualified for a position as governess, until offered the position at Falconbridge Hall. Left penniless after the deaths of her artist father and suffragette mother, Vanessa Ashley draws on her knowledge of art, politics, and history to gain employment as a governess. 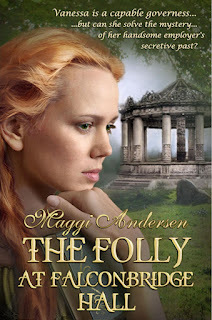 She discovers that Julian, Lord Falconbridge, requires a governess for his ten-year-old daughter Blyth at Falconbridge Hall, in the countryside outside London. Lord Falconbridge is a scientist and dedicated lepidopterist who is about to embark on an extended expedition to the Amazon. An enigmatic man, he takes a keen interest in his daughter's education. As she prepares her young charge, Vanessa finds the girl detached and aloof. 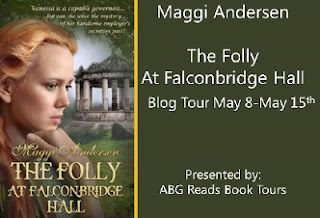 As Vanessa learns more about Falconbridge Hall, more questions arise. Why doesn't Blythe feel safe in her own home? Why is the death of her mother, once famed society beauty Clara, never spoken of? And why did the former governess leave so suddenly without giving notice? Vanessa Ashley planned to arrive at her destination cool and composed, but she felt like a wilting lily. She dabbed her handkerchief at the sweat trickling into her collar as heat gathered beneath her chip-straw bonnet. Clapham High Street Railway Station was a noisy and smelly hub of activity, luckily the residence that was to be her new home lay in the countryside. “Another one,” he muttered and shook his head. Capstick declined to comment. He just grunted and shook his head. “Well, I intend to.” Vanessa straightened her shoulders. It was true she had never wished to be a governess. Even though she was still quite young, her wish for children of her own now seemed unlikely, and if this was to be her fate, she intended to make the best of it. A person without funds, indifferent looks, and a lack of grace had no other course open to them. “Good luck to yer, then.” Capstick grinned at her, revealing a large gap in his front teeth. With reassuring skill, he negotiated around a horse-drawn tram as they passed the bandstand on the common and then drove down tree-lined avenues. Villas were soon replaced by streets of gracious homes set amid beautiful gardens. A sign, reading Clapham Park Estate, appeared, followed by larger country houses on acreages. They passed the last of the houses and were out in the countryside now. Green fields crisscrossed by hedgerows stretched away to a line of forest in the distance. The trap followed the road beside a high brick wall for about a mile until they came to a pair of impressive wrought iron gates with Falconbridge Hall emblazoned on them in gold lettering. Capstick drove through, and a house appeared above the trees. Many chimneys rose from the massive slate roof. Ahead of them, a stocky dark-haired man rode a magnificent bay horse across the lawn and vaulted a hedge. Vanessa had a glimpse of dark, gypsy eyes and a white smile beneath a black moustache. Before they drew level, he turned the animal and rode towards the woods. “Who was that?” she couldn’t help asking, watching him disappear into the trees. If you’ve read Victoria, I’d love to hear your opinion of her books. If not, who your favorite romantic suspense writers are. I hope you’ve enjoyed this peek. Maggi Andersen and her lawyer husband are empty nesters, living in the countryside outside Sydney with their cat and the demanding wildlife. Parrots demand seed, possums fruit, ducks swim in the stream at the bottom of the garden, and the neighbours chickens roam their yard providing wonderful eggs. She began writing adventure stories at age eight. Three children, a Bachelor of Arts degree and a Master of Arts in Creative Writing degree later, her novels are still filled with adventure and suspense, but are also passionate romances. Georgette Heyer among others, brought inspiration to her seductive Regencies and she also writes darker, Victorian novels, contemporary romantic suspense and young adult. Maggi makes her home in Australia. Tbanks for being a part of the tour!! Thanks for hosting me, Melissa! I dearly remember Victoria Holt and I read quite a few of her gothic romances.